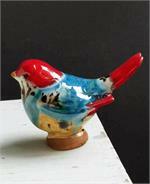 Bold Flame and Azure blue glazes on a festive summer Bebe bird. 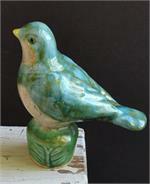 Copper and Silver Green- A robust color scheme. 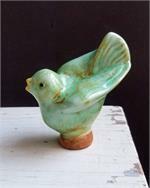 Soft amber and shimmering copper with beautiful frosted green. 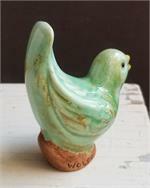 This is our wren in a new glaze combination, featuring bright blues and green with a bold red contrast. 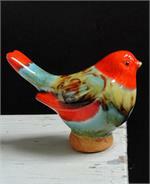 Approximately 3.5 inches tall. 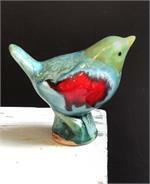 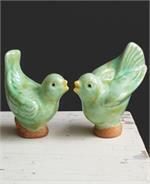 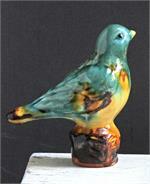 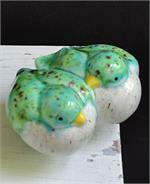 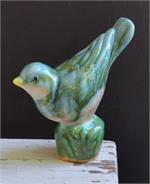 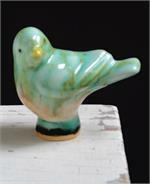 This Bebe bird is glazed in a festive combination of mottled yellow, aqua, and bright orange-red.